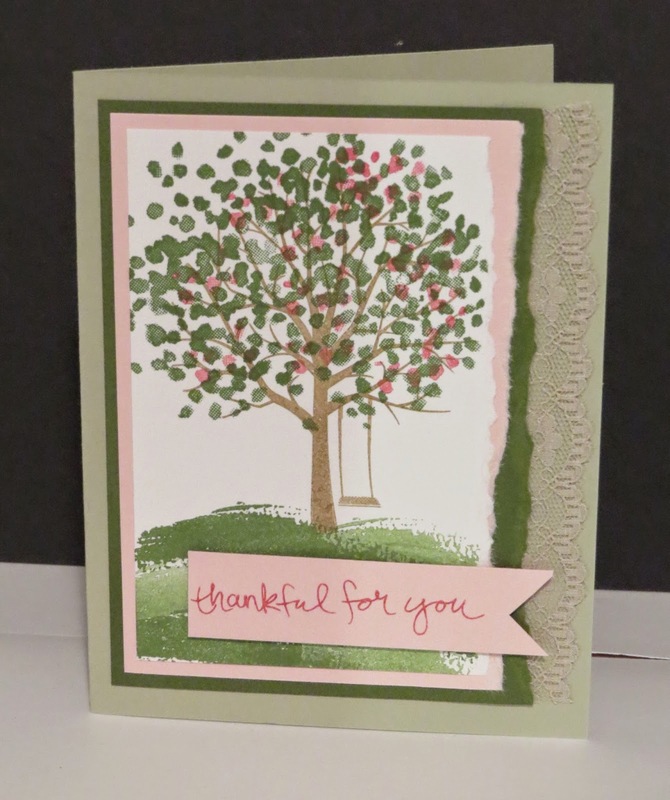 Karina's Kreations: Sheltering Tree Card! We have a new stamp set in the Occasions catalog called Sheltering Tree. I love this new set and think it's perfect for card making in any season. This is a swap I got from Lisa Johnson and we're making this at my coffee and card class today. I hope the girls love it!! If you want to make some cute birthday cards, come to my Birthday Card Bash Extravaganza on Jan 25th! Email me at kchin2@telus.net to save your spot.